"I'm definitely one of a kind out here. I'm the only one that's actually on this field everyday training while everybody else is running circles around me. I'm not necessarily saying that I'm trying to make this Field Town, USA, but maybe a little more emphasis on track and field, for sure." - Eugene high jumper Jesse Williams on being the odd man on the infield in "Track Town USA." Williams, currently in possession of the #2 jump in the world behind American Andre Manson, will have his hands full Sunday at the Prefontaine Classic (2-4 PM Eastern, NBC) with most of the world's best high jumpers, including Russian Olympic champ Andrey Silnov in attendance. 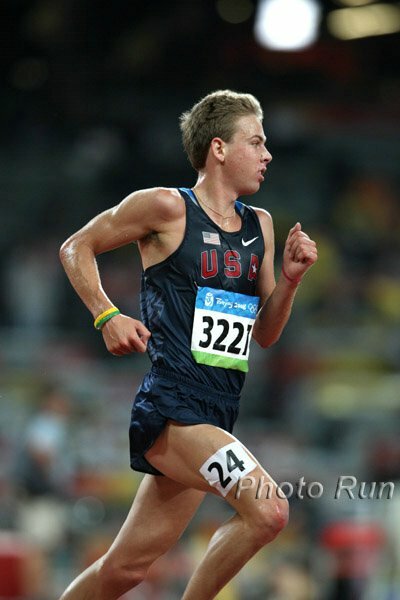 Should I quit my D1 XC/Track team in order to train myself??? 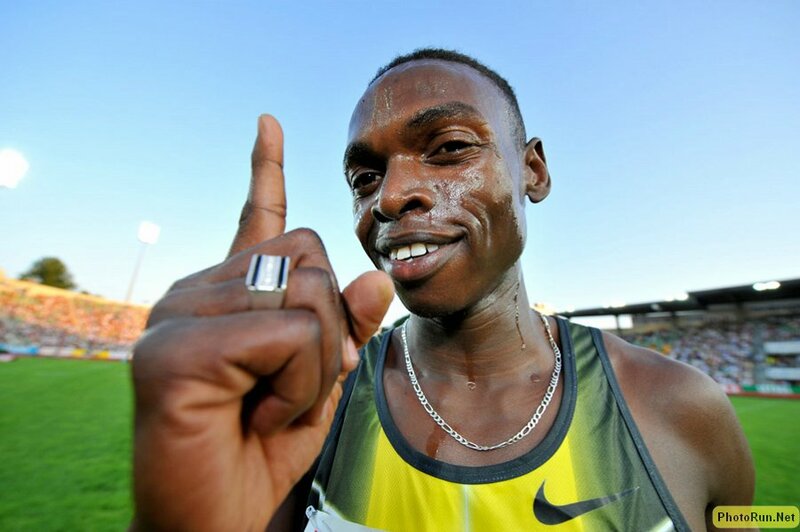 LRC: The Week That Was This week we get ready for Usain Bolt to move to the 400, break down the Reebok Grand Prix in depth, give props to Tyson Gay and heap praise on Anna Willard. We also sadly have to officially write off Alan Webb for 2009 (with a tiny asterisk). The facts show clearly, if anything, Webb is getting worse as the season goes along. *Mucho Moolah: $7 Million+ In Prize Money Awaits World Championship Top Finishers Plus add $100,000 for any world record you break (which won't happen in a distance event). *Kenya Requiring Only One 10,000m Trial For Worlds Seems like they want their 10k guys like road world record holder Micah Kogo a little fresher for the last 400m when either Geb, Bekele or Sihine of Ethiopia have been blowing them away. 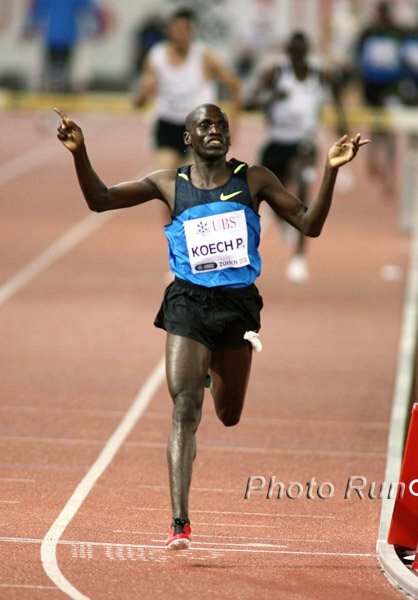 *Good Hengelo Recap From Kenya - Beijing Champ Brimin Kipruto Brimming With Confidence He doesn't usually run as fast as Paul Kipsiele Koech, but he sure wins when it counts. *Paula Radcliffe And Mara Yamauchi To Provide Strong 1-2 Punch For GB WC Marathon Team *Paula Passing Up Payday To Run Berlin World Championships Having Paula in the race immediately makes it more compelling. *Dwain Chambers Has Invitation Revoked From Small German Track Meet Dwain is finding it very tough to find races. *New Tokyo Marathon To "Feature" 10km-Long Underwater Tunnel Section This will undoubtedly be a good place for runners to employ tunnel-vision focus. *5 Japanese Runners Save The Life Of A Fellow Marathoner Suffering From A Heart Attack On The Course This may be the only time it is deemed honorable for a Japanese runner to drop out of a race. Hengelo Meet Sizzles *LRC Recap *LRC Thread *Hengelo Results There were some unexpected results in Hengelo including Kenenisa Bekele dropping out of the 1,500, and some super performances including another impressive win by the man to the left (Abubaker Kaki) and a sub-4:00 run by Gelete Burka. Americans Reese Hoffa and Dwight Phillips had tight contests with international stars Thomasz Majewski and Irving Saladino plus all 3 steeplechase medal winners from Beijing squared off. Find out more in our recap including who became the first man under 13:00 in 2009 (you will be surprised). *Churandy Martina Breaks 10.00 For The First Time This is the guy to whom Shawn Crawford gave his Olympic medal after he (Martina) was DQed for running out of his lane to the outside. *Canada's Lopes-Schliep Third, Bekele Drops Out There is a brief mention of Bekele appearing injured but we haven't heard anything more on that yet. *Athletics Weekly Gives British Rundown From Hengelo Their mid-d women, led by 2008 NCAA champion Hannah England, were great. 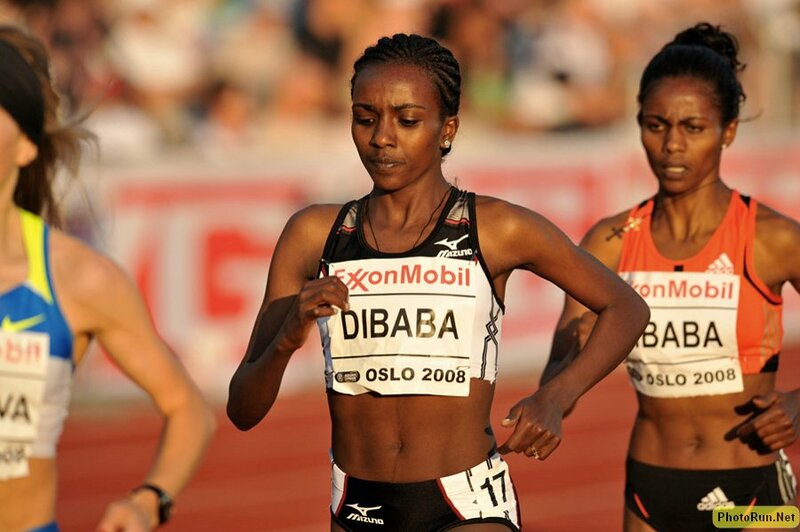 Not a good weekend for Ethiopia's Mega-stars: Kenenisa Bekele drops out of a 1,500m in Hengelo and world-record holder Tirunesh Dibaba looked flat as Kenya's Linet Masai beat her by 5 seconds in New York. Also, Haile Gebrselassie fell short of re-setting his 1-hour world record. But hold on; Ethiopia has much to celebrate, including Ali Abdosh, who became the first man to crack 13:00 for 5k this year, Gelete Burka, who ran 3:58 for a big 1,500m win also in Hengelo and, of course, perhaps the runner of the year so far, Deribe Merga, who won again on the roads in a 10k in India. Prefontaine Classic Brings In The Stars *TV On NBC 2 - 4 pm Eastern Sunday, June 7. We break down the events in great detail in chronological order. Print this handy guide out and sit down and enjoy the NBC telecast. 1. Usain Bolt On Hand As Glen Mills Officially Launches His Racers Track Club We were thinking that it's probably not a coincidence how well the Jamaican sprinters have been running. Glen Mills, who has coached many of them and many of their coaches plus guys like Kim Collins, has been at it for 30 years and seems to have the sport figured out at the "genius level." We're happy to see him get more funding for his club. 2. Bryan Green On Why NCAA Regionals Are A Good Thing LetsRun.com is going to have more to say about the NCAA regional qualifying system in a few days, but until then this is a really good start. 3. Absolutely Inspiring: Iraq Marathon Honors Fallen Soldiers David Ungrady did a great job reporting on a race that clearly meant the world to the soldiers who were able to run it in 100 degree weather ... and then work a full day on the base. 4. This might be the funniest news of the day: Upcoming Toronto Track Meet Featuring Bolt's 100m Debut Has Failed To Get Insurance Against World Record Insurers wanted no action on the Toronto meet unless the time barrier was set at 9.5! Meet was hoping for a million bonus for a Bolt WR. Nobody would take that action! *Portland HS Mile Race To Feature Robby Andrews It's being billed as a sub-4:00 attempt on June 13th. 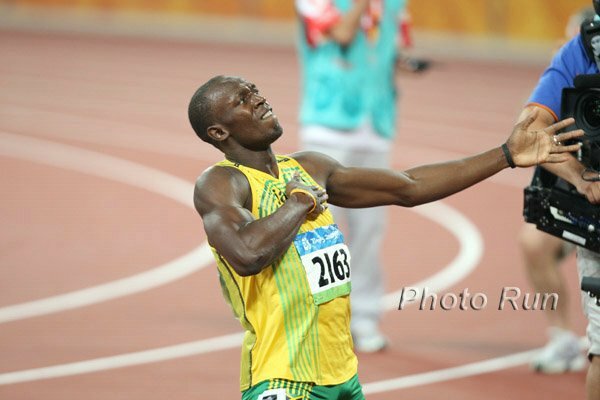 *Usain Bolt Rules Out Triple Gold Attempt At London He already pulled a triple gold / world record in Beijing but some thought London might have been the time for 100/200/400 glory. *The Next Bolt? 17-Year-Old Jamaican Double World Champion Dexter Lee Goes Pro For Reebok Part of his deal is tuition to go to school in the U.S. though he clearly won't compete in the NCAA system. Only Rupp can pull that off. *IAAF Leader Lamine Diack Applauds Bolt's 150m And Creative Track Events In General Lamine Diack seems like a great dude. Galen Rupp Enters The 10k/5k At NCAAs - Check Out Oregon's Squad That Is Our Pick To Win NCAAs They've got potentially big-scoring studs in the Decathlon, Javelin, 800, 1,500, 5k and 10k. 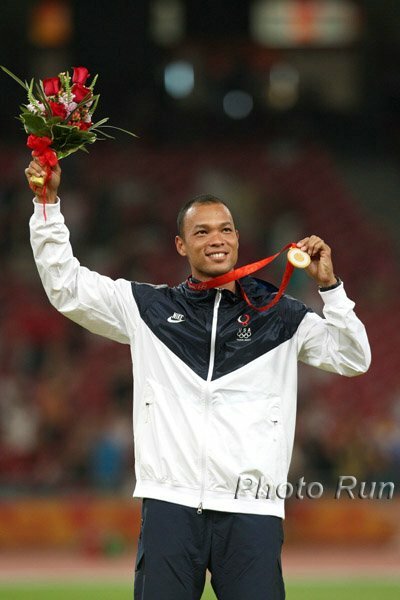 US Bests: *NY Times Article On Decathlete Bryan Clay's Life Since His 2008 Gold Medal Clay's life hasn't changed much since being crowned the world's best athlete thanks to his decathlon triumph. Tell Us What You're Doing On National Running Day If you're in the DFW area, join Wejo at 6:30pm at Fort Worth Running Company on Camp Bowie. If you're in Boston, you can run with Bill Rodgers.